Twe weekend that Peter had been looking forward to had finally arrived. Rising before dawn, he picked up his lovely fiancé, Melinda, to join him in an airborne adventure. As they raced against daybreak towards the tiny country airstrip, he assured her that everything was going to be just fine. The single engine prop plane that Peter had rented for the occasion was there on the tarmac, awaiting them. Except for the pale bluish hue to the east, it was still dark as the two-seater droned down the small runway and lifted into the sky. In a matter of minutes they were soaring high above the lush landscape below. They both oohed and ahhed as the first rays of day set fire to the distant peaks and filled the cockpit with a warm golden glow. “Yes, Honey, you were right, it’s magnificent,” she answered, leaning over and snuggling against his shoulder. Their utter enjoyment of the view and each other was rudely interrupted when 20 minutes into the flight the tiny craft’s motor sputtered and died. Instinctively, Peter reached for the ignition and tried to restart the plane. Once, twice, thrice he tried, but the engine refused to turn over. No!–This can’t be happening, he thought to himself. “Do something, Sweetheart!” Melinda pleaded, as Peter’s attempts to bring the engine to life became more frantic. Peter scoured the rapidly ascending terrain for a clearing of some kind–a road, an open field, even railway tracks–where he could make an emergency landing. “Damn!–Trees, nothing but trees!” he cried, as the tiny plane continued to drop from the morning sky into what looked like an endless tract of foliage. Overwhelmed by feelings of relief and awe that they had managed to somehow survive such an ordeal, they embraced and clung tightly to each other. But they both felt so strange, so different. Feelings of light-headedness seemed to give way to a peculiar sensation of overall lightness. They felt almost weightless. As their rate of ascent increased, Melinda cried, “Oh my God! No!–Look at that!” pointing downwards. “Oh, God!” Peter moaned.We must be … dead!” With those fateful words ringing in their ears, they both felt as if some unseen force had taken hold of them and was drawing them up, faster and faster, far above the wreckage below. All of a sudden they found themselves shooting through a dark passageway or tunnel of some kind at an incredible speed! A light appeared ahead of them, which grew larger and brighter as they flew towards it. It was soon more dazzling and brilliant than any light they’d ever seen, but strangely, it did not hurt their eyes. As they drew nearer to it, they realized it was a person, a brilliant Being of Light! Bathed in this allpervading glow, they were flooded with an intense feeling of love and compassion. Gone was the apprehension and shock they felt upon realizing they were dead. Enveloped in this warm and loving Light, they were completely at peace. Never before had they felt so wonderful, so loved! There, in the presence of the Being of Light, they both found themselves watching a detailed review of their entire lives. They were not just viewing, but actually experiencing a full-color three-dimensional visual presentation in which they saw themselves from the time they were tiny toddlers all the way through to the moment of the plane crash. Remorsefully, they observed and relived every unkind or selfish thing they did as children. Every detail was crystal clear. Thankfully, they also saw all the good things they had done; when they shared or gave a toy to a childhood playmate, when they had helped a friend in need, when they offered a word of encouragement or did a deed of kindness–everything! It was as if this life-review made each of them their own judge. They clearly and honestly saw where they had failed and where they had succeeded. There was no denying anything. Everything was irrefutably true, and the conclusions they reached were clear and fair. And though they reviewed their whole lives, scene after scene, when it was over they felt as if the entire review had lasted only a few moments. Having had their lives literally “flash before their eyes,” they looked apprehensively into the face of the Being of Light. What relief they felt when their eyes met His and found them still warm and loving, full of sympathy and understanding. Despite their wrongdoing and mistakes, they found unconditional love and acceptance. 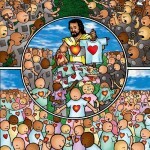 Peter and Melinda realize now that this kind and loving person is Jesus, and that He is welcoming them home to Heaven. Although all of their wrongs and mistakes, shortcomings and failures of the past are perfectly known to Him, He still loves them and has received them with open arms. Tears of thankfulness stream down their cheeks as He embraces and comforts them, and tenderly wipes their tears away. And with that, He takes them each by the hand and they begin flying again, as they had in the tunnel. Their destination, a beautiful crystal-gold heavenly city, grows larger and larger as they approach it, until they are both overwhelmed by its immensity and beauty! As they enter through one of its pearly portals, they are thrilled to be met by the reception party that is there to greet them. Peter can hardly believe his ears when a voice he has missed terribly calls to him from the side, “Welcome home, Son!” He turns to meet his mother, who had died of an illness seven years earlier. She looks just beautiful–young, vibrant and radiant–the way Peter remembered her when he was just a little boy. They cling to each other and weep for joy, thanking God for this wonderful reunion! 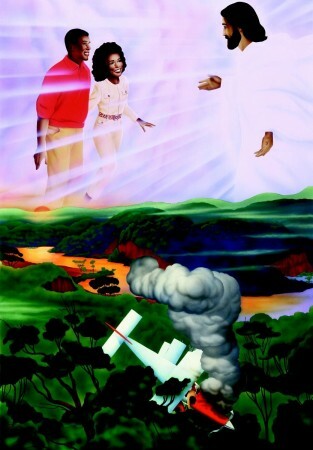 Neither Peter nor Melinda had ever imagined that Heaven would be so wonderful! Everyone they meet is loving and kind; no one is a stranger. Everything is incredibly alive and vibrant, from the luscious flowerfilled gardens and parks to the magnificent trees and the friendly animals of all sorts. The buildings and houses are of such amazing design and beautiful colors and materials, they can’t even be compared with anything they have ever seen before! All the people are wearing shimmering, shining garments of light that lightly drape and reveal their beautiful forms. No one is rushed or hurried–they just seem to float along the golden sidewalks and lush green grass, their feet barely touching the ground. Others actually fly and glide gracefully through the air! The story of Peter and Melinda’s “Incredible Journey” is no mere fantasy. It is based on the near-death experiences of thousands of cases which have been scientifically documented in authoritative studies and books. Of course, in all such cases, the subjects–some who were clinically dead for as long as 20 to 30 minutes–were revived. In each case, they testified that the Being of Light who reviewed their lives had offered them the opportunity to return to their bodies and their life on earth. But these are the exceptions, as it’s obvious that most people do not come back after passing on. Are you ready for that incredible journey? 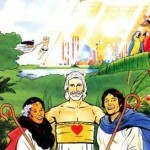 Is there a place for you in God’s wonderful Heavenly City (described in the Bible’s Book of Revelation, chapters 21-22)? 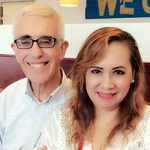 Peter and Melinda were ready because before passing on they had both believed in Jesus Christ, and had chosen to receive Him into their hearts. “For God so loved the world [you and me], that He gave His only begotten Son [Jesus], that whoever believes in Him, should not perish, but have everlasting life” (John 3:16). Dear Jesus, I believe that You died for me. Please forgive me for all the things I have done wrong. I now open the door of my heart and I ask You to please come in and give me Your free gift of eternal life. Amen. Art by Hugo Westphal / Text by Michael Roy © 1998 Aurora Productions, Inc.